Shalom. Our Message this morning will be from Psalm 34. And the Title is, MANY ARE THE AFFLICTIONS OF THE RIGHTEOUS, BUT THE LORD DELIVERS HIM OUT OF THEM ALL. So with that said, let’s read Psalm 34. PSALM 34.1-2 I will bless The LORD at all times. His praise shall continually be in my mouth. My soul shall make her boast in The LORD. The humble shall hear of it, and be glad. So why should we bless The LORD at all times, and praise Him continually? Because The LORD loves you with an everlasting love. He is your hope, and your expectation. He will always deliver you from all your troubles, and shield you from all your problems. GOD hears your prayers and answers them. He saves you from every difficulty you face in life. He delivers you from your enemies because He is The LORD GOD Almighty Who loves you, The Messiah Yeshua Who has given you Salvation. Who helps you, and defends you, and gives you the victory in life. So bless The LORD at all times, and praise Him continually because The LORD your GOD has forgiven you your sins through your faith in The Messiah Yeshua. He has put His Law in your heart, and you obey Them. And you are a new person, Holy and GODLY, pleasing to The LORD, and Righteous, written in GOD’s Book of Life. And GOD has given you the gift of The Holy Spirit and Life Eternal. And praising The LORD is conquering despair, overcoming and defeating distress and hopelessness from circumstances that seem too much to cope with. But The LORD your GOD is with you. And you will walk through the valley of the shadow of death in praise and glory. Bless The LORD at all times. Praise Him continually because GOD is your hope, and expectation. He will never disappoint you because The LORD your GOD will always give you the victory. He will always deliver you because your eyes are fixed on Him. That is why you should bless The LORD at all times. His praise shall continually be in your mouth. And the humble will hear of it, and be glad. PSALM 34.3 David wrote this Psalm, and he calls on us to magnify The LORD, and exalt His Name together. Declare His greatness, and honor Him because The LORD is an Excellent GOD, and Great. Because His Goodness, and Love have no end. PSALM 34.4 Fears are either real or imagined. They are emotionally distressing causing pain, and sorrow and severe anxiety. Fears are aroused by imminent or imagined danger. They give us the feeling of being afraid and frightened, and apprehensive from sudden attack of danger. Fear gives us a feeling of dread and tension. But the strong counsel of the Psalm tells us to seek The LORD, and ask Him for help. Worship Him. Humble yourself. Beg Him. Appeal to Him urgently. Bow down to The LORD your GOD and submit yourself to Him. And The LORD, The Mighty GOD of Creation will deliver you from all your fears, everyone of them. PSALM 34.6 GOD will always hear you, and save you out of all your troubles. The Mighty GOD opened the Red Sea for the Children of Israel to cross on dry ground to escape being slaughtered by the charging Egyptian armies. VERSE 5 Forewarn means to warn you in advance to fear GOD. Trust in The LORD with all your heart, and don’t put a whole lot of confidence in your own abilities. In everything you do, acknowledge The LORD. That is, whatever you do, do it GOD’s way. GOD’s way is always according to His Teachings and His Laws that are written in The Law of Moses. And by doing everything in your life GOD’s way, being obedient to His Law, The LORD your GOD will always direct your paths. And you will be blessed. PSALM 34.9 There is no want to those who fear The LORD. You will lack nothing in your life if you fear GOD and keep His Commandments along with your faith in The Messiah Yeshua. Verse 33. Yeshua says, First seek the Kingdom of GOD AND His Righteousness. These are GOD’s Words on how to seek The LORD. The Kingdom of GOD is GOD because GOD rules over everything and everyone, everywhere. And that is His Kingdom. And when you seek GOD, you are asking for His help, and His Righteousness. GOD’s Righteousness is the right way to do things in your life, pleasing to GOD according to all His Laws that are written in The Law of Moses. That is GOD’s Righteousness. So Messiah says, There is no need to worry about anything because when you ask GOD for help and His Righteousness, His help will be according to His Laws that are written in The Law of Moses. And you will lack nothing because you respond by living your life according to GOD’S Righteousness. PSALM 34.11-4 David provides some important words on the meaning of fearing The LORD, for those who desire life, and love many days, that they may see good. Keep yourself from evil. Evil is the Hebrew word RAH meaning evil, bad, disobedience to GOD’S Law of Moses, wickedness, wrong, not pleasing GOD by not obeying Him. And David writes, keep your lips from speaking guile, from deceit, and deceiving, and cheating, and from fraud. And depart from evil and do good. Seek peace and pursue it. That is the fear of The LORD. But His eyes are especially upon the Righteous. And His ears are open to their cry. He hears our grief, our pain, and our suffering. Righteousness is a recurrent theme throughout The Bible. The teaching of Righteousness appears repeatedly in every part of The Bible from beginning to end. Check it out. GOD’s blessings are upon the Righteous. GOD’s deliverance and protection are upon the Righteous. The gifts of GOD are given to the Righteous. The Holy Spirit, Salvation, and Eternal Life are given to the Righteous. Atonement through Yeshua The Messiah is by GOD’s grace. But then you must live your life in Righteousness. Many are taught that atonement and eternal life are unconditional. They say if you believe in Jesus Christ, He has done it all. You don’t have to obey The Law of Moses, they say. You are under grace. You know what? That sounds a whole lot like satan’s words to Eve in the Garden of Eden. And the snake said to her, Yes, has GOD said, you shall not eat of every tree of the Garden? And Eve said to the serpent, we may eat of the fruit of the trees of the Garden, but of the fruit of the tree which is in the midst of the Garden, GOD has said, you shall not eat of it, neither shall you touch it, lest you die. And the serpent said to the woman, you shall not surely die. For GOD does know that in the day you eat of it, then your eyes will be opened, and you shall be as GOD knowing good and evil. Righteousness comes by obeying The Law of Moses along with your faith in Messiah Yeshua. And Righteousness is necessary for GOD’s Blessings, His Holy Spirit, Salvation and Eternal Life. That’s why Yeshua said, Seek The Kingdom of GOD and His Righteousness. Matthew 6.33. Righteousness means being right with GOD. And the only way to be right with GOD is being obedient to all GOD’s Laws that are written in The Law of Moses along with you faith in Yeshua The Messiah. And when you are Righteous, The LORD your GOD will do the impossible for you. For the eyes of The LORD are upon the Righteous, and His ears are open to their cry. PSALM 34.16 Remember what evil is. Evil is bad and wickedness. Evil is disobedience to GOD. Evil is disobedience to GOD’S Law of Moses. And the only way to steer clear of evil is by being Righteous. Obeying every Word that GOD speaks, and every Law of GOD that is written in The Law of Moses. PSALM 34.18 The LORD is near to them that are of a broken heart, and saves such who have a contrite spirit, that is a crushed spirit, who are not yet saved, and who do not know GOD. This was my experience with The LORD 32 years ago before I knew The LORD GOD. The word near, as The LORD is near them that are of a broken heart means that The LORD GOD as a near male relative, especially my Father, or your Father, came near to me when I had a broken heart and a crushed spirit. And He healed me, and saved me. And later, He taught me that Yeshua, (I first knew His Name as Jesus), is Jewish and He is The Messiah and GOD Almighty, The ONE GOD. And He taught me what Righteousness is. Obeying GOD’s Laws that are written in The Law of Moses. And He taught me that atonement comes from believing in Messiah Yeshua. And that Salvation unto Eternal Life, being written in GOD’s Book of Life comes from Righteousness, obeying GOD’s Law of Moses along with my faith in Messiah Yeshua, The GOD of all Creation. GOD heals the broken-hearted, and saves those who have a crushed spirit. But having a broken heart and a crushed spirit can happen to the Righteous as well. But be comforted because GOD is near. GOD delivers the crushed in spirit, and defends you, and heals you, and preserves and rescues you, and gives you the victory. Because The LORD is near them that are of a broken heart, and saves them that have a crushed spirit. PSALM 34.19 Many are the afflictions of the Righteous. Yup. We have them also. But The LORD delivers us out of them all. How important is it to be Righteous with GOD? PSALM 34.21 People should be careful not to hate the Righteous because they will be desolate. PSALM 34.22 The servants of The LORD are Righteous. And The LORD redeems us. That is, The LORD delivers us, forgives our sins, rescues us, and saves us, and gives us eternal life with the Family of GOD. And none of us will be desolate, or guilty of sin, because GOD has redeemed us. Yes, we have our afflictions, many of them, but The LORD delivers us out of them all. Amen. Posted on September 28, 2014 March 24, 2015 Categories Shabbat MessageLeave a comment on MANY ARE THE AFFLICTIONS OF THE RIGHTEOUS, BUT THE LORD DELIVERS HIM OUT OF THEM ALL. ROSH HA SHANNAH, A MEMORIAL OF BLOWING OF TRUMPETS. Shalom. L’Shannah Tovah, Happy New Year. Our teaching this morning will be from Leviticus 23.1-3 and Verses 23-25. And the Title of our Message is, Rosh Ha Shannah, A Memorial of Blowing of Trumpets. So with that said, let’s read LEVITICUS 23.1-3 AND 23-25. LEVITICUS 23.1-2 The Jewish holidays are in fact not the Jewish holidays but The Feasts of The LORD. The LORD says in Verse 2 THESE ARE MY FEASTS. The Feasts of The LORD are Sabbath on Saturday, Passover, Pentecost, Rosh Ha Shannah which is Biblically called a memorial of blowing of trumpets, followed by Yom Kippur, The Day of Atonement, and Sukkot, The Festival of Tabernacles. And the first day of each Feast is a Sabbath. No work of any kind is to be done on that day. And the seventh day of Passover, and the eighth day of Tabernacles are also Sabbaths. And since these Feasts are The Feasts of The LORD, they should be observed by all the Nations, all the Gentiles, not just the Jewish People. However we’ll have to wait for the 1,000 year Millennium, the Age Of Peace before that happens when The LORD returns and will be King over all the earth, sitting on His throne in Jerusalem. Zechariah 14.9. All the Feasts of The LORD are written in the 23rd Chapter of Leviticus. The Feasts of The LORD in Hebrew is MO’AH’DAY YEHOVAH, meaning The LORD’s appointed times. GOD’s Festivals are for the People to assemble and hold a Service that is dedicated to The LORD. And The Feast, or The Holiday is always at a time appointed by GOD. For example, the weekly Sabbath is always the seventh day of the week from Friday at sundown to Saturday at sundown. Rosh Ha Shannah, or The Memorial of Blowing of Trumpets is appointed by The LORD to be in the seventh Hebrew month Tishrei, in the first day of the month. And that is today. The Rabbis have declared The New Year to be the year 5775, or 5,775 years from The Creation. And The Feasts of The LORD are Holy convocations. In Hebrew MEEK’RAH’AY KODESH meaning Sacred occasions, or Holy gatherings that are set apart for GOD. Today’s Feast of The LORD is Biblically called, a memorial of blowing of trumpets, or in Hebrew ZEEKH’RONE TEH’ROO’AH. In Judaism, there are Biblical times, and Rabbinic times. Biblical times, I believe are from the time GOD gave the Words of Genesis 1.1 to Moses in which GOD said, In the beginning GOD created the heavens and the earth. And Biblical times extended to the late fourth century B.C.E., B.C. at the coming of Alexander The Great to Israel. During Biblical times from Moses to Alexander The Great, Judaism was under the authority of the written Word of GOD in The Bible. Personally, I prefer The Bible to be the authority of Judaism and all mankind where no changes are made from GOD’s written Word in The Bible. And I am confident The Bible will be the authority at Messiah’s return when He establishes the 1,000 year Millennium in Israel that will continue throughout Eternity in Heaven. Historically speaking, The Bible is the written record of Israel’s religious civilization, and its permanent ownership of the Land of Israel. The wealth of teaching from the Books of The Bible attest to the advanced stage of Israel’s human advancement because of GOD’s teachings in the Books of The Torah, GOD’s Law of Moses, and the Prophets, and the Writings that include the wisdom literature of Proverbs, Job, Ecclesiastes, and certain Psalms. And for all who will live their lives according to GOD’s written Word in The Torah, GOD’s Law of Moses, and the Prophets, and the Writings, and the New Testament that DOES NOT abrogate or DOES NOT abolish The Law of Moses as most Bible teachers teach unlawfully, for those who believe and understand that there is only ONE GOD, and reject the teaching of the trinity of three or four gods as many believe, they can attain to that advanced stage of Wisdom and Salvation having an endless life in Heaven with The GOD of Creation, Yeshua The Messiah. Let’s return to Rosh Ha Shannah, or The Memorial of Blowing of Trumpets. LEVITICUS 23.3 GOD’s appointed day of the weekly Sabbath is Saturday, the seventh day of the week from Friday at sundown to Saturday at sundown. And GOD commands us not to do any work on The Sabbath. It is The Sabbath of The LORD in all your dwellings wherever you live. It is a Holy convocation, a Sacred occasion set apart for The LORD for the People to hold a Service dedicated to The LORD Your GOD. LEVITICUS 23.23-24 Today, Rosh Ha Shannah, or The Memorial of Blowing of Trumpets, is also a Sabbath. No work of any kind is to be done on this day. It is a Holy convocation, a Sacred gathering for The LORD. Evening in Hebrew is EH’REHV meaning evening, and sundown. Morning in Hebrew is BO’KEHR, meaning the day. Thus GOD says, from sundown to sundown is one day. LEVITICUS 23.25 The LORD commanded the People not to do any work of any kind in the day. And to offer an offering made by fire unto The LORD. This offering made by fire unto The LORD was for their atonement for the forgiveness of their sins. The Hebrew for an offering made by fire is EE’SHEH which is a burnt offering of an animal sacrifice for atonement. As we all know, it is unlawful to sacrifice animals without a Temple in Jerusalem according to The Law of Moses, Lev. 17.8-9. But atonement has always been required by The LORD GOD for our sins that we have committed by violating any of His Laws or Commandments that are written in The Law of Moses. Our Atonement today is The New Covenant in Messiah Yeshua that GOD gave to the Jewish People and to all Mankind to forgive us for our sins, and remember them no more. And that New Covenant is prophesied in JEREMIAH 31.31-34, and fulfilled in The Messiah Yeshua. Before the atoning Sacrifice of The Messiah Yeshua, GOD required an animal sacrifice for atonement every day, every Sabbath, and on every Feast of The LORD. In GOD’s mercy, The LORD provided Himself in the Person of Messiah Yeshua to be our New Covenant for the Atonement of our sins for the Jewish People and all Mankind. Let’s return to LEVITICUS 23.24. A memorial of blowing of trumpets in Hebrew is ZEEKH’RONE TEH’ROO’AH. And Messiah says, His return will be with the great sound of a trumpet. Actually the great sound of a shofar. So let’s look at some Scriptures that write of Messiah’s return. MATTHEW 24.27-31, 1 CORINTHIANS 15.51-58, 1 THESSALONIANS 4.13-18, ISAIAH 27.14. (1 CORINTHIANS 15.56) The Law of Moses teaches what sin is. The LORD is a GOD of miracles. Everything He does is a miracle. So let’s honor The LORD by remembering some of His great acts, along with some of His miraculous promises that He provides for us. (EXODUS 12.40-41) The Children of Israel were not slaves for the first thirty years in Egypt when Joseph was Governor of Egypt under Pharaoh. Posted on September 28, 2014 March 24, 2015 Categories Shabbat MessageLeave a comment on ROSH HA SHANNAH, A MEMORIAL OF BLOWING OF TRUMPETS. THE LAW OF MOSES CONTINUED. Shalom. Our teaching this morning will come from Leviticus Chapter 5. And the Title of our Message is THE LAW OF MOSES CONTINUED. So with that said, let’s read the first seven verses. BACK TO LEVITICUS 5.1. This word swearing in Hebrew is AH’LAH meaning to invoke a curse, or call evil upon someone. And GOD says, if a person witnesses the one cursing and does not condemn that person for cursing, the witness shall bear his iniquity. Meaning, the witness is guilty of sin for not condemning the person who cursed. And the witness requires atonement. LEVITICUS 5.2 GOD also says, if a person even touches the carcass of an unclean thing such as a pig, or a boar, a frog, or a lizard, or turtle or snail, even if he or she is not aware that the dead thing was lawfully unclean, that person is unclean and guilty. GOD’s dietary laws of clean and unclean animals and birds, and other things that are clean and lawful to eat, or unclean and unlawful to eat are written in Leviticus 11 and Deuteronomy 14. This law, as all GOD’s Laws never change, nor do they end no matter what uninformed people might tell you. And holding fast to GOD’s dietary laws will make you healthy. Paul wrote that we have the mind of Messiah. Yeshua The Messiah never taught that it was okay to eat anything unclean. He himself never ate anything unclean that GOD calls an abominable thing. Messiah says, “If you love Me, keep My Commandments.”. Messiah is GOD Almighty, The Mighty One of Jacob. Eating the proper foods according to GOD’s food laws prove that you love Him. Sometimes poor unlearned translations in a Bible can deceive people and lead them astray. A good rule of thumb is if something does not agree with The Law of Moses that GOD gave mankind to obey, that translation or teaching is wrong. For example, most New Testament Bibles, perhaps all New Testament Bibles write, You are not under The Law (that is The Law of Moses) but under grace. GOD says that His Laws are for Heaven and Earth. Deuteronomy 32.1. The Law of Moses, GOD’s Laws, are for GOD Himself to keep. And the Law of Moses is for the angels in Heaven, and for all mankind. Not being under The Law of Moses is living a lawless life. That is not GOD. GOD Himself not only lives by His Laws that are written in The Law of Moses, GOD is obligated to live by His Laws. And the angels who lived as though they were not under The Law, GOD booted them out of Heaven and tossed them into hell. MATTHEW 25.41, 2 PETER 2.4, ETC. LEVITICUS 5.3 GOD says, if a person touches some human uncleanness, that person becomes unclean. And though he, or she is unaware of it, then when he learns of it, he or she is guilty and requires Atonement. LEVITICUS 5.4 If a person swears by an oath, such as, I swear in The Name of GOD to do evil or good, and forgets it, or doesn’t carry it out, when the person realizes he made the oath, that person is guilty. Many are called, but few are chosen and you are part of the few that GOD has chosen because you love Messiah and obey Torah, The Law of Moses. And when you confess your sins, GOD hears you, and forgives your sins and cleanses you from all unrighteousness. MATTHEW 22.14, ROMANS 6.6. VERSE 20 Foreordained means that GOD knew beforehand, in Eternity, before The Creation of the world that He would be The Messiah Yeshua Who would give His Life as a human being for all the world for our Atonement. Yeshua’s teaching is from Torah, The Law of Moses in Deuteronomy 8.3. But let’s read DEUTERONOMY 8.1-3. I heard the other night on TV, a Christian preacher say that Christians do not have a land to possess as The Jewish People have The Land of Israel to possess. The Hebrew word for possess is YAH’RAHSH which also means to inherit. LEVITICUS 5.15-16 The Holy Things of The LORD are The Tabernacle and The Temple and everything in them. Thus, if a person commits a trespass and sins in the Holy Things of The LORD , even unaware, GOD says that person is in sin and requires Atonement. 1 JOHN 2. 2 The sins of the whole world are the sins of violating GOD’s Law of Moses. VERSE 21 James counsels the Gentiles who have turned to GOD through their belief in Messiah Yeshua to go to the Synagogue where Moses, which means where The Law of Moses is preached, and taught every Sabbath, that is every Saturday. James taught that Gentiles who have turned GOD through their belief in The Messiah Yeshua should go to the Synagogue every Sabbath on Saturday to learn The Law of Moses, and live their lives according to GOD’s teachings and Laws that are written in The Law of Moses. That is Biblical teaching throughout The Bible. Obey in Greek is PEITHARCHEO that means to obey. To submit to authority. And that authority is GOD Almighty, The GOD of Israel. Submitting to His Law of Moses. And Then GOD will give you His Holy Spirit. This is an excellent passage of Scripture to explain the meaning of Elohim. Elohim in Hebrew is GOD, The One GOD of Creation. However, elohim in Hebrew means gods, gods plural. But when The Bible speaks of The One GOD of Creation, Elohim is translated GOD, GOD singular. Let’s look at GENESIS 1.1-10, 26. The Hebrew word for GOD in all these passages is Elohim, GODs plural. Elohim is used in The Holy Scriptures over 3,000 times. So why does GOD call Himself Elohim, the plural for GOD? Because The GOD of Creation is GOD The Father, GOD The Messiah, GOD The Son, GOD The Spirit, GOD The Holy Spirit, and much more. And THEY ARE ALL ONE AND THE SAME. They are Not different nor are they distinct as the trinity teaches. The trinity is not biblical, and the trinity is unlawful. And when Yeshua said to Judas, not Iscariot, in John 14.23, “If a man love Me, He will keep My Words, and My Father will love him, and WE will come into him, and make OUR abode with him. WE and Our are The ONE GOD, ELOHIM, THE HOLY SPIRIT WHO MAKES HIS ABODE WITH US. GOD IS ONE but He is many. Elohim is The Father, The Messiah, The Son, The Spirit, The Holy Spirit, and much more. There is only ONE GOD. He is Yeshua The Messiah, Elohim. And when you see Yeshua, you most definitely WILL see The Father. JOHN 12.45, JOHN 14.9. Posted on September 21, 2014 March 24, 2015 Categories Shabbat MessageLeave a comment on THE LAW OF MOSES CONTINUED. FOR WHAT REASON WAS MESSIAH RESURRECTED FROM THE DEAD? Shalom. Our teaching this morning from The Torah, GOD’s Laws and Commandments that are written in The Law of Moses, will come from Leviticus 4.22-35. And The Title of our message is, FOR WHAT REASON WAS MESSIAH RESURRECTED FROM THE DEAD? And with that said, let’s read Leviticus 4.22-35. Atonement in Hebrew is KAH’FAR – Meaning our sins are forgiven, cancelled, and utterly abolished. And we have reconciliation with The LORD our GOD, bringing us together in peace. That is the result of atonement through the death of Messiah Yeshua. Then repentance is required by The LORD, and immersion in water. That is baptism. Expressing our good conscience toward GOD by our belief in Messiah Yeshua Who is The Holy One Of Israel for atonement of our sins. And repenting of all our sins that we have committed, and turning to GOD and keeping all His Laws that are written in The Law of Moses. Thus being born again, walking in newness of life, and receiving the Gift of The Holy Spirit. Back to the sins of the ruler and the people when the animal sacrifice was in operation. The ruler and the common people who sinned brought their sin offering to the Priest at The Tabernacle or The Temple. The sin offering for the ruler was a male goat without blemish. And the sin offering for the people was either a female goat without blemish, or a female lamb without blemish. And the sinner laid his or her hand upon the head of the animal, and it was killed before The LORD. It was a sin offering. The sin offering today for the world is the Jewish Messiah Yeshua. And the Jewish Messiah Yeshua is The MIGHTY GOD of Israel, The Creator of Heaven and earth. And continuing with the animal sacrifice, the Priest took some of the blood of the animal with his finger, and put it upon the horns of the Altar of burnt offering, and poured the remaining blood at the bottom of the Altar of burnt offering. And the animal was burned on the Altar. And the Priest made atonement for them. And their sin was forgiven. LEVITICUS 4.27-31 By performing the sacrifice of the animal as GOD commands the Priest, the Priest made atonement for the person in sin. It is GOD Who forgives sin. Not the Priest. The world knows that Messiah was killed on a Roman cross in Jerusalem, buried in a tomb, and raised from the dead on the third day. But for what reason was The Messiah Yeshua resurrected from the dead? The answer is in written in 1 Peter 1.1-5. According to GOD’s abundant mercy, Peter teaches, The LORD has begotten us, that is we are born again to a lively hope. That lively hope is a living hope, a living expectation because of the resurrection of Yeshua The Messiah from the dead. And our living hope is an eternal inheritance in Heaven, and the 1,000 year Millennium in Israel where the Land of Israel will be as the Garden of Eden with all their beauty and magnificence where there will be no sin, or curse, nor sorrow or crying or death, or pain. But everlasting joy and peace, and the magnificence of GOD’s Dwelling Place prepared as a bride adorned for her husband. And Peter teaches us that we are kept and protected by the power of GOD because of our faith in Messiah Yeshua, and our obedience, as Peter points out in Verse 2, to GOD’s Laws and Commandments that are written in Torah, The Law of Moses. The prophesy of resurrection is spoken of by the prophet Hosea in HOSEA 13.14. It’s interesting that Hosea’s name in Hebrew is HO’SHAY’AH meaning deliverer. Ransom in Hebrew is PAH’DAH meaning release and deliver. Redeem in Hebrew is GAH’AHL meaning a close male relative who in this Scripture is GOD Almighty, our Father, and our Messiah Who buys us back with a price. The price Messiah paid is His death. He has redeemed us from the grave. That is resurrection and deliverance. A better translation is, Where are your plagues o death? Where is your ruin o sheol (hell). And the Jewish Publication Society Bible writes, Revenge shall be far from My thoughts. PSALM 139.18 “When I awake, I am still with You.” David might be speaking of his resurrection. Dew revitalizes the herbs, and poetically, the dew resurrects GOD’s People from the dead, and gives them life. VERSE 1 The Book is The Book of Life that contains all the names of those who will inherit eternal life in Heaven. Thus our sins against GOD Must be forgiven. So what is the teaching of The LORD OUR GOD in The Bible that achieves forgiveness of our sins, and remain written in His Book of Life? First, believe in Messiah Yeshua for atonement, for the forgiveness of all your sins that you have committed against GOD. Knowing that Messiah Yeshua is GOD Almighty, The One GOD of Creation. Then repent of all your sins that you have committed, and turn to GOD and obey all His Laws and Commandments that are written in The Law of Moses. Then be immersed in water. That is baptism. Be immersed in water in The Name of Yeshua The Messiah Who is GOD Almighty. And you will receive the Gift of The Holy Spirit. And continue to walk in newness of life, being born again, having the living hope of eternal life both in the 1,000 year Millennium in Israel, and eternity in Heaven. So you see, obedience to The Law of Moses is also taught throughout The New Testament. And those are the Words of Messiah Yeshua. So tell your Bible teachers to teach it. It’s crucial for eternal life. And Messiah is The GOD of Israel, The Mighty GOD of Jacob. One more question. When we die, those of us in The Family of GOD are carried into Heaven by the angels, Luke 16.22. But we are also resurrected from the dead, from the depths of the earth, Psalm 71.20. So how does GOD do such a phenomenal wonder? The answer. The secret things belong to The LORD our GOD. But those things which are revealed belong to us and to our children forever, that we should do all The Words of this Law. That is, The Law of Moses. DEUTERONOMY 29.29. Posted on September 14, 2014 March 24, 2015 Categories Shabbat MessageLeave a comment on FOR WHAT REASON WAS MESSIAH RESURRECTED FROM THE DEAD? So with that said, let’s read Leviticus 4.22. LEVITICUS 4.22 Sadly, the explanation of sin is almost never taught anywhere except in The Bible and the dictionary. So why isn’t sin taught in religion outside of Judaism? Because if sin was explained, and taught, the cover would be blown off the lie that Christians and others are not required to obey GOD’s Laws and Commandments that are written in The Law of Moses. Sin is explained in this Verse, Leviticus 4.22 as disobeying any of GOD’s Commandments or Laws that are written in The Law of Moses. The sin of a ruler is the same as the sin of the people, even if the sin is done by mistake, or the person did not know The Law. That person is guilty. Whosoever commits sin transgresses also The Law. The Law, of course is GOD’s Law of Moses. The word transgresses in Greek is POIEO, meaning that the person AGREED to transgress GOD’s Law. And those who do not receive this doctrine, John says, Don’t even let them into your house, or bid them shalom. When we believe in Messiah Yeshua, we believe in GOD Almighty, because Messiah Yeshua is GOD Almighty. And when we believe in GOD, we have confidence in Him, in His Existence, His Truth, and Reliability. And we have faith in GOD. Faith is not only having confidence and trust in The LORD, but faith also requires obedience to The LORD, to His Teachings, His Doctrines, His Laws and His Commandments that are all written in The Law of Moses. Peter teaches us in The New Testament what we must do from the moment we believe in Yeshua. Work out our own Salvation. And that is a world of change. Fifty days after Messiah’s death, when the day of Pentecost came, or in Hebrew, The Festival of Shavuot, Messiah’s Disciples were gathered together at someone’s home. And suddenly, The Bible says, there came a sound from Heaven as of a rushing mighty wind, and it filled the house where they were sitting. And they saw what looked like tongues of fire. And they sat upon each of the Disciples. And the Disciples were all filled with The Holy Spirit and they began to speak in different languages as The Spirit gave them the ability. And because it was The Festival of Shavuot, that is Pentecost, there were many religious Jews who came to Jerusalem from all over the world for The Festival. And using today’s modern names, they came from Iran, Iraq, Syria, Judaea, Turkey, Greece, Egypt, Libya, North Africa, and Rome. 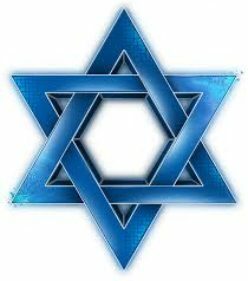 Jews and converts to Judaism. Jews from the Greek islands, and Jews from Arabia. And when this mighty sound from Heaven was heard, many of these Jewish people, some 3,000, came to the house. And they were confused because each one heard the Disciples of Messiah speaking in their own language, Farsi, Arabic, Hebrew, Turkish, Italian, and Greek. And they were all amazed and marveled saying, How is this possible? Aren’t all these people who are speaking in our language Galileans? How is it that we hear them speaking in our language the wonderful works of GOD? And they were amazed and in doubt. What does this mean, they asked each other? And some thought they were drunk. But Peter stood up, standing with the other eleven Disciples. Peter is Jewish as were all Messiah’s Disciples. Peter’s given Hebrew name is Shimon. And he spoke boldly to these Jewish people. You men of Judaea, and all of you who are staying in Jerusalem, hear what I have to say. These men aren’t drunk as you think. It’s only nine in the morning. And Peter preached the word of GOD to them, teaching these Jewish people about their Jewish Messiah, Yeshua Ha Mashiakh. His mighty works and miracles, and signs that He did in their very presence that only GOD is able to do. And Peter said, Messiah was delivered to death by the will of GOD. GOD ordained it. And GOD raised him up, and freed him from the suffering of death because it was not possible that death should take hold of him. For David spoke about Messiah Yeshua, saying, I have set The LORD always before me because He is at my right hand that I shall not be moved. Therefore my heart rejoices, my whole being is alive, and my body rests secure. For You will not abandon me to hell, or let Your Holy One see decay. You will show me the path of life. In Your Presence is fullness of joy. At Your right Hand are pleasures forevermore. Those words are from Psalm 16.8-11. Men and brethren, Peter said, I can say to you frankly that the patriarch David died and was buried. His tomb is with us to this day. Therefore being a prophet and knowing that GOD had sworn with an oath that one of his descendants would sit on his throne, David was speaking in prophesy about the resurrection of The Messiah Yeshua. That is He Who was not abandoned in hell, and Whose flesh did not decay. GOD raised up this Yeshua, and we are all witnesses of it. Therefore being exalted to the right hand of GOD, Psalm 110.1, GOD has poured out His Holy Spirit which you both see and hear. Therefore let all the House Of Israel know that GOD has made this Yeshua Who was killed on a stake both LORD and Messiah. Now when the Jewish people heard this, they were all pained in their hearts, and they said to Peter and the other Jewish apostles, what shall we do? And Peter said to them, REPENT, and be immersed in water, every one of you in The Name of The Messiah Yeshua for the forgiveness of your sins. And you shall receive The Holy Spirit. For the promise is to you and your children, and to all that are far off, even as many as The LORD shall call. And with many other words, Peter testified and encouraged them. And he said, save yourselves from this corrupt generation. So what was the purpose of this message from Peter? Yes, certainly to get those Jewish people saved, to turn them to GOD and to their Messiah Yeshua. But Peter’s message is also for us today, to teach us the truth about Messiah Yeshua. About Salvation and Deliverance from our sins. How to live a Righteous life for GOD. Having GOD as our GOD, and how we become His People. How to love GOD correctly by obeying Him, and inheriting Eternal Life in The Millennium that will be like the Garden of Eden, and to continue our life in Heaven forever. And we are not learning the truth today because the truth is not taught about Yeshua The Messiah. The truth is not taught about Salvation, or Atonement, or Repentance, or Eternal Life. The first word out of Peter’s mouth was REPENT! Repentance is a world of change for everyone, for Jewish people and non-Jewish people. And yes, Repentance is necessary for Salvation. The person that sins, GOD says, will die. Meaning, the person who CONTINUES TO DISOBEY GOD, any of GOD’s Laws and any of GOD’s Commandments that are written in The Law of Moses will die. And this is GOD’s doctrine for repentance. But if the wicked will turn, in Hebrew, Repent, if the wicked will Repent from all his sins that he or she has committed by disobeying GOD’s Laws and Commandments that are written in The Law of Moses, and does that which is lawful and right by obeying all GOD’s Laws and Commandments that are written in The Law of Moses, he or she will surely live, and not die. That is GOD’s doctrine for repentance. So yes, Repentance, the Repentance that GOD teaches is necessary for Salvation. Posted on September 7, 2014 March 24, 2015 Categories Shabbat MessageLeave a comment on IS REPENTANCE NECESSARY FOR SALVATION? These are the words spoken of Ira Weinstein when Beth Elohenu Messianic Congregation immersed, that is baptized seven people August 31, 2014 in Las Vegas, Nevada. 3,400 years ago when The LORD delivered some 3 million Jewish People and a number of non-Jewish People out of Egypt after 400 years of slavery to bring them to the Promised Land, The Land of Israel. And after GOD opened the Red Sea for the People to cross on dry ground, GOD led them into the Wilderness of Sinai to camp at the foot of Mt. Sinai. And The LORD called Moses up into Mt. Sinai where GOD gave Moses the Ten Commandments. And GOD also showed Moses a vision. The vision was the Tabernacle, the portable Jewish Temple. And in that vision of the Tabernacle, GOD showed Moses the Ark of the Covenant, The Menorah which is the seven branch candelabra, the Altar and other furnishings for the Tabernacle that included a Laver of brass, or a Basin with water. That Basin with water was for the Jewish Priests to wash their hands and their feet before they entered the Tabernacle or when they came to the Altar to offer sacrifices to The LORD. It was a sign that the Priests were clean of their sins. And GOD said it was a Statute forever that they wash and not die. Today we will continue GOD’s Commandment of Immersion in water because GOD sees these Special People who are being immersed today, or baptized as Priests of The Most High, Rev. 5.10. Judaism calls this immersion Mikveh. Christianity calls it Baptism. We immerse these Special People who have received The Jewish Messiah Yeshua, Jesus as a sign that they believe in Messiah Yeshua, and have atonement through His death, and have repented and turned from their sins of breaking GOD’s Laws, The Law of Moses, and have turned to GOD and obey His Law of Moses along with their faith in Messiah Yeshua. That is Biblical Teaching. And that is Biblical faith in The GOD of Israel. That is Biblical Salvation. And that is Eternal Life in Heaven. And I will ask these Special People who are being immersed in water today a few questions. Hopefully their answers will be yes. First, Do you believe that Messiah Yeshua is The One GOD of Creation and The Promised Messiah to the Jewish People and all Mankind? Do you believe His Sacrificial Death is for your atonement, the forgiveness of all your sins? Do you believe that you Must Repent and turn from all your sins of breaking GOD’s Laws, His Law of Moses, and Turn to GOD and obey His Law of Moses? Then I will immerse them into The Name of The Messiah Yeshua Who is The One GOD, The GOD of Israel. He is The Father, The Son, and The Holy Spirit. WHEN AND BY WHOM WERE GOD’S LAWS CALLED THE LAW OF MOSES? Shalom. This morning our teaching from The Torah, The Law of Moses will come from Leviticus 4.1-20, and the Title of our Message is, When And By Whom Were GOD’s Laws Called The Law Of Moses? So with that said, let’s read Leviticus 4.1-20. DEUTERONOMY 32.1 GOD’S Laws are not only for the Jewish People and all the world, but GOD’s Laws are also for the Heavens, for GOD Himself and the Angels to obey. Joshua’s name in Hebrew is YEH’HO’SHUA meaning Yehovah Saved. The Messiah Yeshua’s Name comes from Yeh’ho’shua, Joshua, and Yeshua’s Name in Hebrew means Deliverance, Salvation, Saved, Victory, Aid, Prosperity, and Health. GOD promises us a better life when we are obedient to His Law of Moses. GOD promises you that you will possess and inherit the Land of Israel. For us, that means we will inherit the Land of Israel in the Millennium, the Age Of Peace among the Jewish People, among the Tribes of Israel. When you are obedient to The Law of Moses, GOD will give you wisdom and understanding. And GOD will be near you when you call upon Him, and you will be righteous. And He has chosen you and will drive your enemies from you. And you will know there is ONLY ONE GOD. JOSHUA 1.1-9 When you observe to do according to all that is written in The Law of Moses, you will prosper wherever you go, and you will have good success, and The LORD your GOD will be with you wherever you go. And The LORD your GOD will never fail you nor forsake you when you obey GOD’s Law of Moses along with your faith in Messiah Yeshua. EZEKIEL 47.21-23 In the days of the 1,000 year Millennium, the Age Of Peace, you will inherit the land of Israel among the Jewish People, among the Tribes of Israel. These are just some of the blessing for obeying GOD’s Law of Moses along with your faith in Messiah Yeshua. LEVITICUS 4.2 What is sin? The LORD explains in this Verse what sin is. Sin is disobeying any of the Commandments of The LORD. Sin is disobeying any of GOD’s Laws that are written in The Law of Moses. 1 John 3.4. VERSE 23 “You have rejected The Word of The LORD.” Rejected in Hebrew is MAH’AHS’TA which also means reprobate. Being reprobate is rejecting GOD’s Commandments. Being reprobate is disobeying GOD’s Law of Moses. The routine teaching today for atonement, the typical doctrine we hear for the forgiveness of our sins through Jesus Christ does not produce atonement. Why? Because atonement for the forgiveness of sins is only accomplished by doing it GOD’s Way. What do I mean? GOD NEVER taught Israel, or the Gentiles, or the Church that now that you have atonement through the death and shed blood of Jesus Christ, you eliminate The Law of Moses. GOD NEVER taught that nonsense. No where in the Bible. Not even in one verse of Scripture in The Bible. But man teaches that lie every day. This teaching from The LORD GOD is directed to the person who is not Jewish although His instructions are the same for Jewish People. To join yourself to The LORD, and to serve Him, to love The Name of The LORD; His Name is Yehovah and Yeshua. The LORD has other great Names. To be His servants, everyone that keeps The Sabbath on Saturday from polluting it by not ignoring GOD’s Sabbath, and by not disobeying it, and takes hold of GOD’s Covenant. That is strongly obeying GOD’s Words and Laws that are written in The Law of Moses. Even them will GOD bring to His Holy mountain in The Millennium, the Age of Peace. And GOD will make you joyful in His House of Prayer, His Temple. And listen to this. Your burnt offerings and your sacrifices will be accepted upon GOD’s altar. Today, that means your atonement in Messiah Yeshua will be accepted by GOD because you do what GOD asks of you. For GOD’s House shall be called a House of Prayer for all people. That is GOD’s Way for atonement. Atonement will only be accepted by GOD when you believe in The Messiah Yeshua and obey all His Laws that are written in The Law of Moses. And that is The Word of GOD. Personally, I always thought that the original written language of The New Testament is Hebrew and not Greek. All who wrote The New Testament are Jewish, not Greek. Their mother tongue was Hebrew, and I doubt very much if many of these Jewish writers spoke Greek, let alone wrote it. Perhaps Paul whose name is Saul had a handle on Greek being born in Tarsus in today’s Turkey. Paul is Jewish, and like all the writers of The New Testament, along with Yeshua The Messiah and His disciples, they were and are Jewish. They never converted to Christianity. They remained Jewish and all followed Torah, The Law of Moses as Messiah Yeshua taught them. And later Paul taught Torah. I think the original Hebrew manuscript of The New Testament is hidden somewhere in secret. VERSE 4 explains Holiness, GOD’s Holiness. And the Holiness GOD wants for us. GOD is the Rock. He is solid, and we can always rely on Him. And people should be able to rely on us, especially when we give them our word. Our word is our promise. GOD’s Ways are perfect according to His Laws. Our work should always be according to GOD’s Laws. All GOD’s Ways are judgment. That is, all GOD’s Ways are according to His Law of Moses. Our ways should also be according to GOD’s Law of Moses. He is a GOD of Truth without iniquity. There is no sin in Him. He never breaks His Laws. And we should strive for that. GOD is just and right according to His Laws, as we should be just and right according to GOD’s Laws. Messiah Yeshua said, Be therefore perfect even as your Father, which is in Heaven is perfect. Matthew 5.48. That is Holiness. That is being Holy. GOD gave us a New Covenant. A Covenant of GOD is His Commitment that He has made with Israel. And The New Covenant that GOD gave to Israel is for all Mankind. In a number of GOD’s Covenants, GOD Commits to do something, and we also Commit to do something with relation to His Covenant. Such is The New Covenant. GOD’s Commitment is to give us Messiah Yeshua Who is The New Covenant. And GOD puts His Law of Moses in our hearts and minds TO OBEY. Evidence that GOD’S Law, His Law of Moses is in your heart is that you obey God. You obey His Law of Moses. And GOD will be your GOD, and you will be His people. And GOD will forgive your iniquity, and remember your sin no more. However there is a huge problem today that surrounds us. Something like the time of Adam and Eve when the serpent satan tricked them into disobeying GOD by eating what GOD told them not to eat. GOD’s Law of Moses is no harder to obey than not eating from a tree that GOD says don’t eat from that tree. And believing in Yeshua The Messiah is not as hard as passing a third grade math question, 2+5+8=15. But as King Saul said to Samuel after the King sinned against GOD, he said, I sinned against GOD because I feared the people and obeyed their voice. 1 Samuel 15.24. People mostly sin against GOD because they fear people and obey their voice. Example. There’s a commentary from a prominent Christian commentator on the words of Jeremiah 31.31-34, about The New Covenant. And I would say that most Christianity follows this teaching. His commentary teaches that the New Covenant is unconditional. Meaning Christians do not have to do anything to receive Jesus Christ as their Lord and Savior. Christians do not have to do anything, especially they do not have to obey GOD’s Law of Moses that GOD put in their hearts and minds when they came to belief in Jesus. Christians do not have to obey GOD for GOD to be their GOD, and for Christians to be GOD’s people. And GOD will forgive their iniquity and remember their sins no more. There are no conditions for Christians in Christian doctrine except to believe in Jesus Christ. That is laughable because GOD said concerning His New Covenant, Yeshua The Messiah, I will put My Law in their inward parts, and write it in their hearts. Jeremiah 31.33. GOD has a reason to put His Law in your heart and mind when you came to faith in Messiah Yeshua. That reason is to obey Him. POSSESSING THE NEW COVENANT, YESHUA THE MESSIAH, IS CONDITIONAL UPON YOU OBEYING GOD’S LAWS THAT ARE WRITTEN IN THE LAW OF MOSES. MATTHEW 7.21-23. I feel it is my responsibility to teach The Word of GOD as GOD teaches The New Covenant in Jeremiah 31.31-34. GOD has given The New Covenant Who is Messiah Yeshua to Israel and all Mankind. And when we believe in Messiah Yeshua, GOD puts His Law in our minds and hearts TO OBEY. And as a result of believing in Messiah Yeshua, and living by GOD’s Law of Moses, GOD will be your GOD, and you will be His people, and GOD will forgive your iniquity and remember your sin no more. That is Salvation, and that is Eternal Life. That is GOD’s Way. Posted on September 1, 2014 March 24, 2015 Categories Shabbat MessageLeave a comment on WHEN AND BY WHOM WERE GOD’S LAWS CALLED THE LAW OF MOSES?